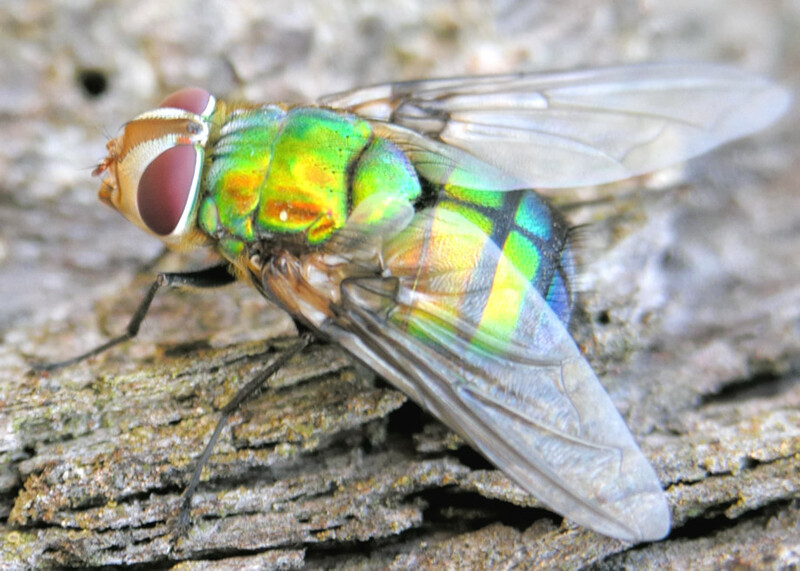 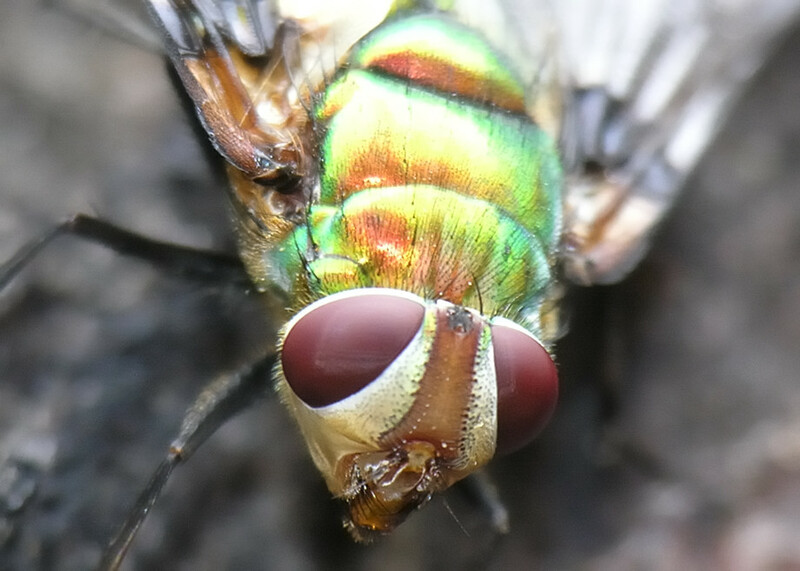 This page contains pictures and information about Green Rutilia Fly that we found in the Brisbane area, Queensland, Australia. This fly also known as Bristle Fly. 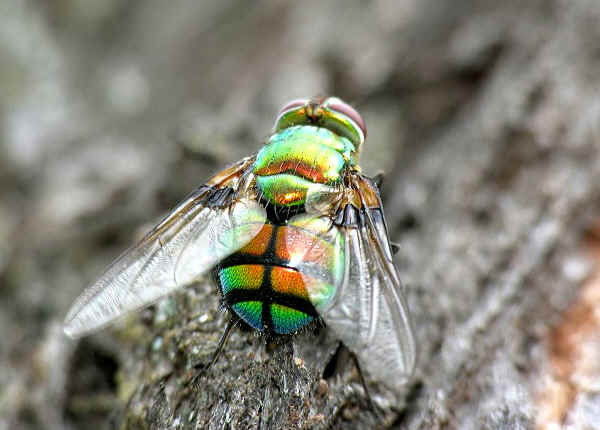 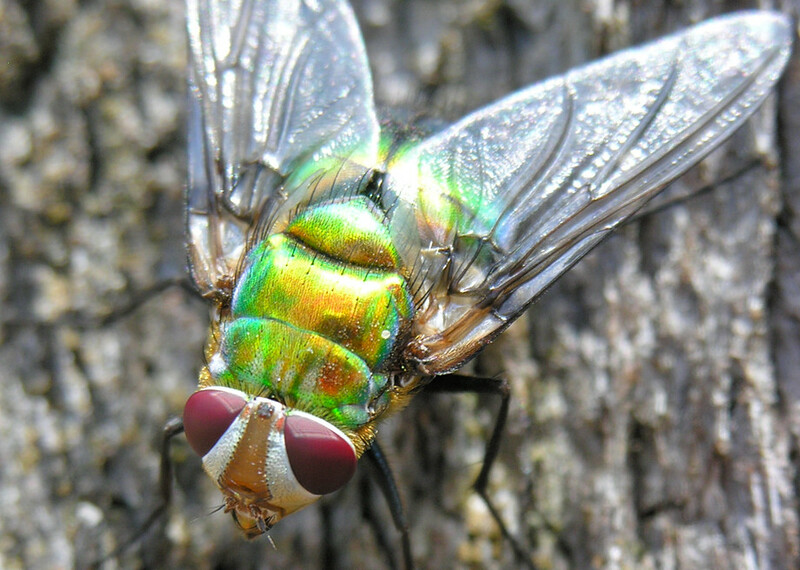 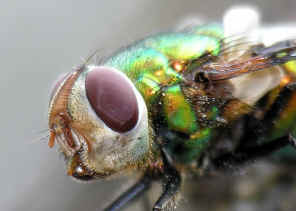 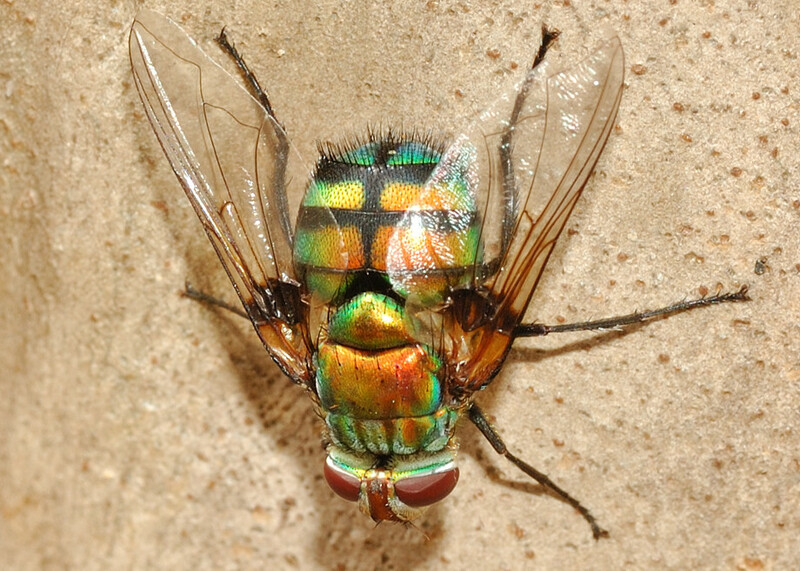 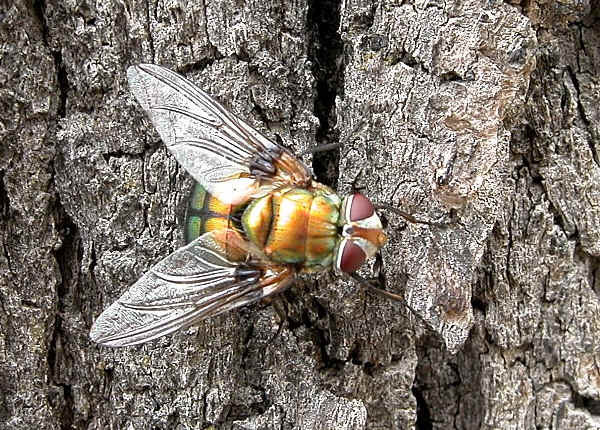 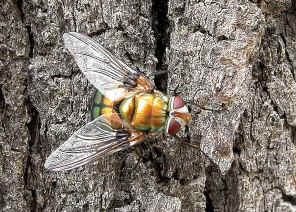 The fly's hairy body was bright metallic golden-green in colour, with golden and black patches near the base of the wings. 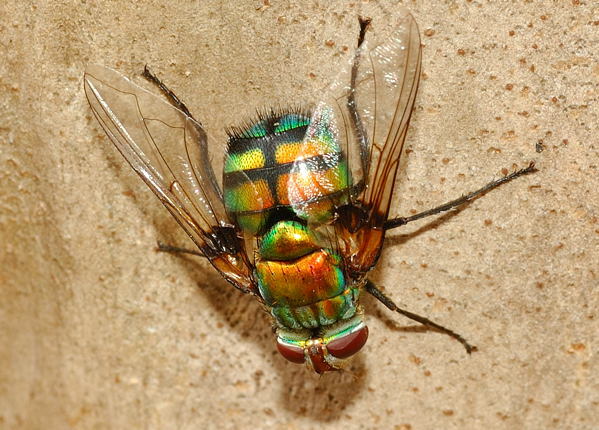 This is the most common Rutilia Fly that we found in Brisbane. The fly has the silvery-yellow head with minor metallic green on face. 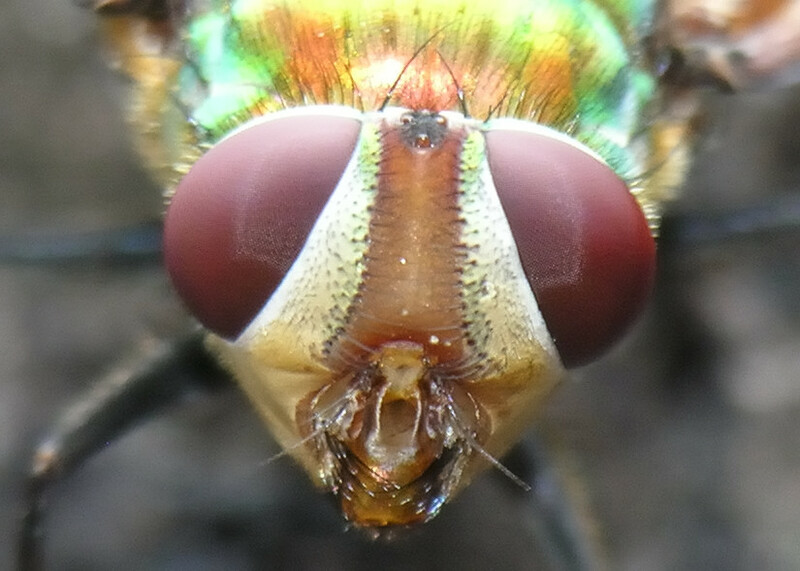 We identified this fly by its convex scutellum, five setae on postalar callus, head with bright yellow ground colour and body colour in metallic golden green. This fly seems like to to aggregate at hilltop. 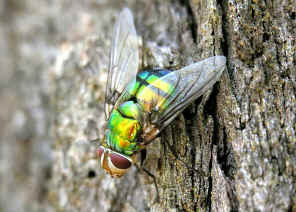 In mid summer we usually found quite a number of them resting on tree trunks in a small area near the hilltop. 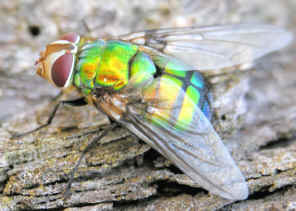 In the aggregation sites sometimes we found other Rutilia Fly species as well. 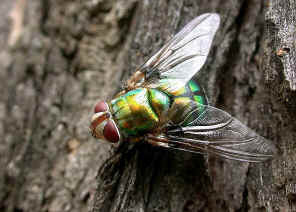 In early summer, we saw many of them resting on Iron-bark gum tree trunk in Karawatha Forest Bushtail track. 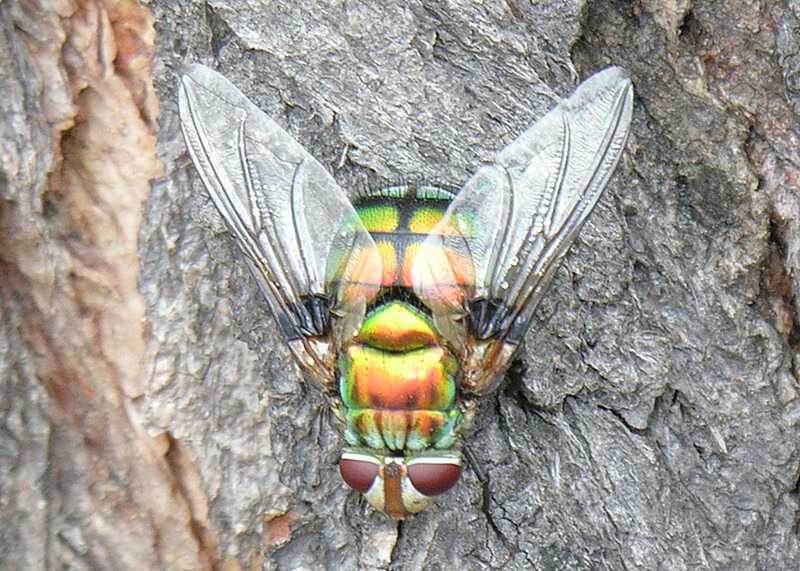 There is a place with many Iron-bark gum trees and openly facing a downhill slope. 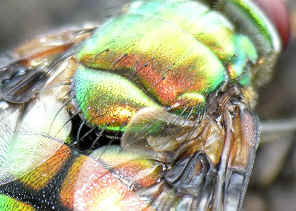 There could be a place where the males meet the females of this species. 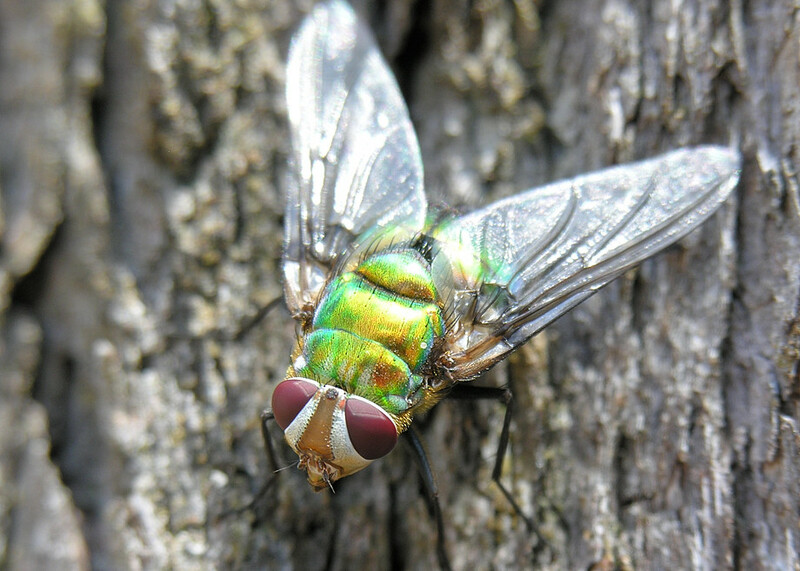 Pictures taken in Yugarapul Park, Karawatha Forest and Alexandra Hill, mid summer. This fly larvae parasites on Scarab Beetle larvae. 1. 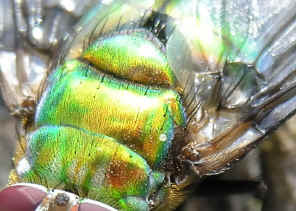 Wildlife of Greater Brisbane - New edition, Published by Queensland Museum 2007, p139. 2. 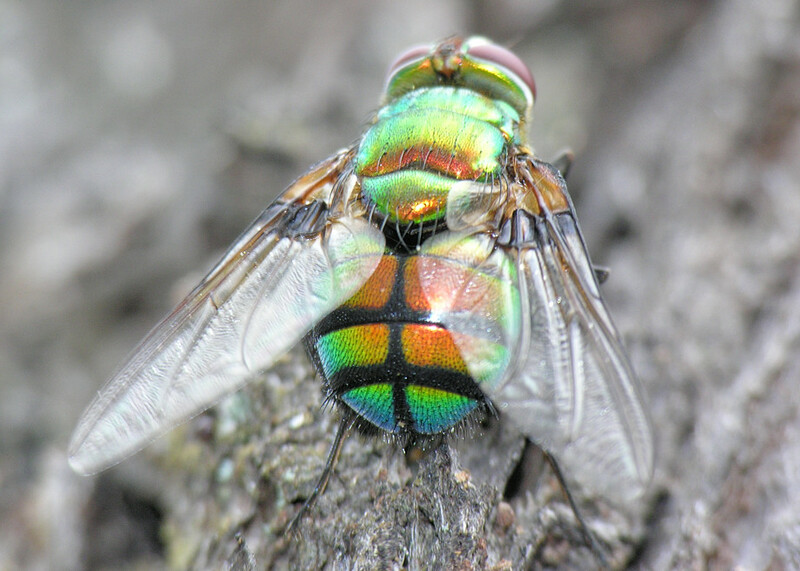 Insects of Australia, CSIRO, Division of Entomology, Melbourne University Press, 2nd Edition 1991, plate 5P.